Gustafson Guthrie Nichol is a landscape architecture firm based in Seattle, Washington. Founded in 1999 by Jennifer Guthrie, Shannon Nichol, and Kathryn Gustafson, it is a world-renowned firm know for ground-breaking, contemporary designs. GGN: Creating Context is the first book devoted to their impactful work. It surveys some of their most important achievements including the Bill & Melinda Gates Foundation Campus in Seattle, Washington; the National Museum of African American History and Culture in Washington, DC; the Lurie Garden at Millennium Park in Chicago, Illinois; and the Venice Biennale in Italy. Practical in its sharing of knowledge and inspirational by design, this is a must-have resource for design professionals and fans of beautiful public spaces. Gustafson Guthrie Nichol (GGN) is renowned for their ground-breaking, contemporary designs. 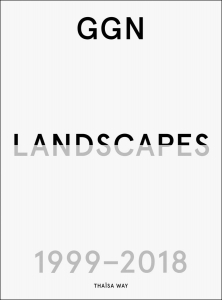 This is the first monograph from this prominent landscape architecture firm and its founding principal, Kathryn Gustafson.